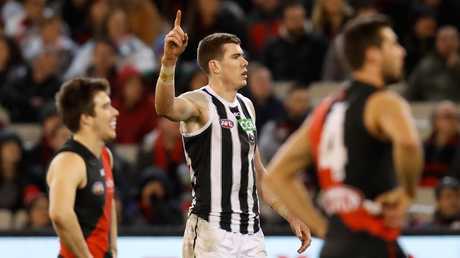 COLLINGWOOD will welcome back sorely-missed big man Mason Cox for Saturday's AFL clash with North Melbourne at the MCG. The 211cm ruck-forward was a late withdrawal for last week's loss to West Coast with a hamstring complaint but proved his fitness at Thursday's training session. 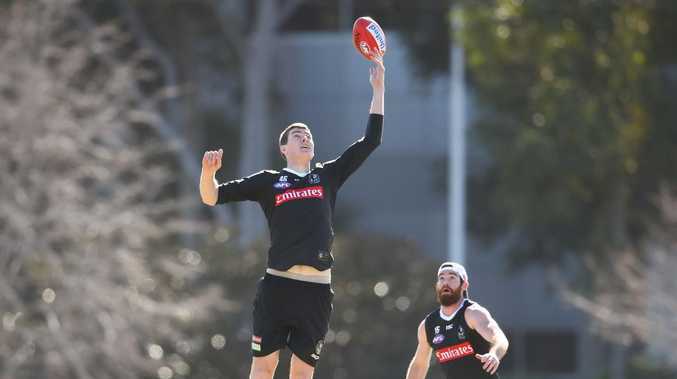 Cox looms as a key inclusion for the Magpies as they prepare to tackle a Kangaroos side which has the potential to stretch opponents with Majak Daw playing up forward in recent weeks alongside Coleman Medal leader Ben Brown. "We expect him to be right. He got through the session and he's come good," coach Nathan Buckley told reporters. "He was touch and go last week but it wasn't worth the risk because he just simply wasn't ready to go in our medicos' eyes." While his absence wasn't the only factor, the Pies' 35-point loss to West Coast showed just how important Cox has become to their structure. The Eagles repeatedly intercepted Collingwood's forward entries and dominated the marking contests across the ground. Cox's improvement has been a huge positive for the Magpies but Buckley is conscious of ensuring they can also manage without him. Mason Cox has booted 14 goals for the Magpies this year. 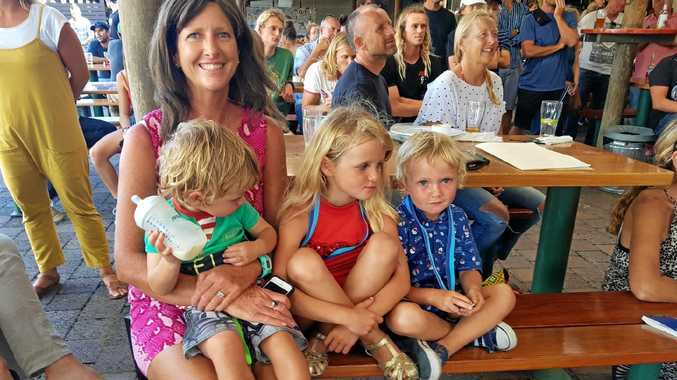 "He's massive in more ways than one … (but) we need to continue to find ways of being able to get around any reliance on any one individual," Buckley said. "His role in particular, we weren't able to replace due to availability and we missed him last week. "But that wasn't the whole picture for us; there's plenty of (room for) improvement." Gun midfielder Adam Treloar hit the track on Thursday as he continues his bid to return from a rare double-hamstring injury. The Magpies have listed Treloar as still being seven to eight weeks away from returning but the 25-year-old is desperate to overcome the odds. "He broke into a jog today," Buckley said. "He's a bullish character, always trying to beat expectations to be ahead of the curve. "He'll continue to do that but there's still a fair bit of time for him and there's also a fair bit of work to be done as well." Buckley's men are third on the ladder but their tough schedule, including games against Richmond, Sydney and Port Adelaide, could scupper hopes of a top-four finish.